Volkswagen has lifted the veil off of an updated version of the all-electric e-Golf during the Los Angeles Auto Show. 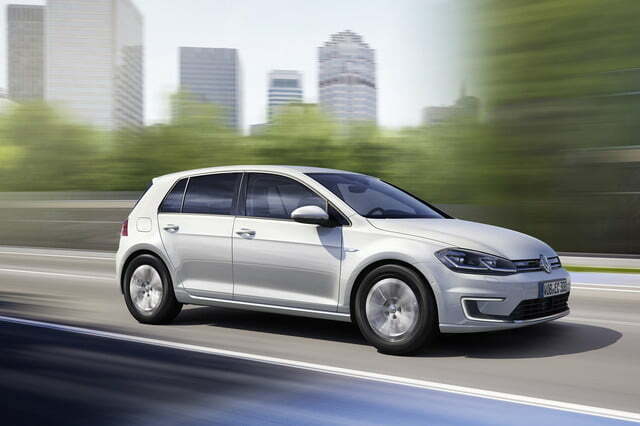 No longer a mere compliance car, the e-Golf benefits from a new lithium-ion battery pack with a 35.8kWh capacity. 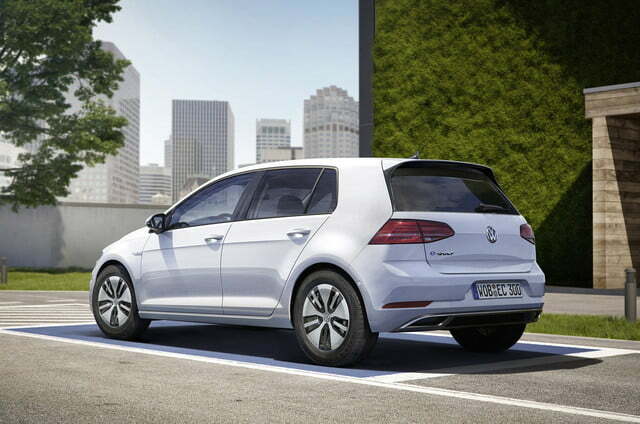 The pack gives the e-Golf a 124-mile driving range, a figure that represents a roughly 50-percent increase over the outgoing model. 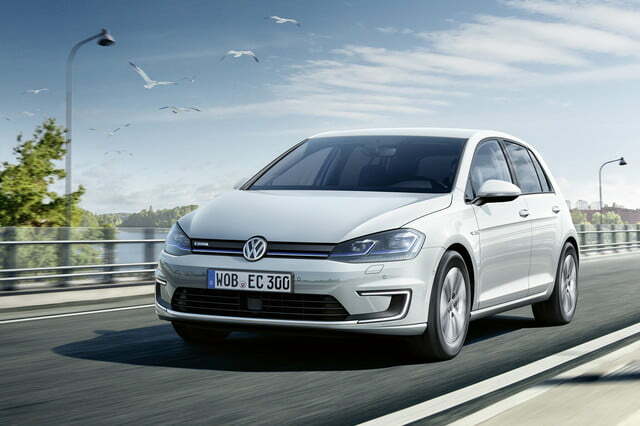 Charging the e-Golf takes six hours when it’s plugged into a regular charging station, and an 80-percent charge is available in less than an hour by using a quick charger. Volkswagen has increased performance, too. The electric hatchback receives a new motor programmed to deliver 134 horsepower and 215 pound-feet of torque, increases of 19 horses and 16 pound-feet, respectively, over last year’s model. 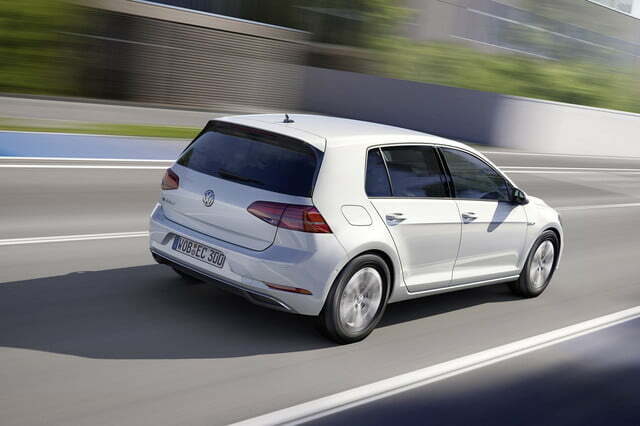 The extra grunt sends the Golf from zero to 60 mph in 9.3 seconds — over a second faster than its predecessor — and on to a top speed that’s electronically limited to 93 mph. The e-Golf is now safer, too. Notably, it’s newly available with a long list of electronic driving aids including forward collision warning, autonomous emergency braking, park assist, lane-keeping assist, and adaptive cruise control. Like all members of the Golf lineup, the e-Golf receives a redesigned front end that brings new lights and a re-styled bumper. Equally discreet, the modifications made to the rear end include a new-look bumper and LED tail lamps. The cabin benefits from an Audi-derived digital instrument cluster that can be configured by the driver, and a 9.2-inch infotainment screen with state-of-the-art gesture control technology. The 2017 Volkswagen e-Golf will go on sale shortly after it greets the show-going public in the City of Angels. It will likely carry a small premium over the model currently found in showrooms, but Volkswagen won’t announce pricing information until closer to the car’s on-sale date.